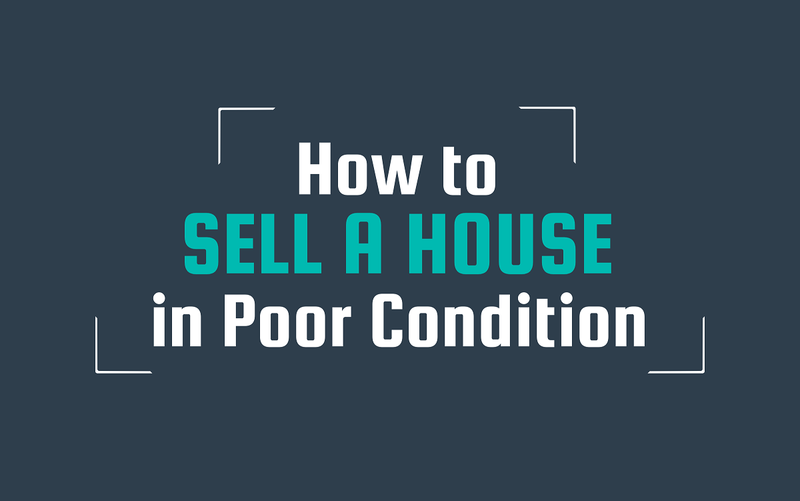 If you’re a homeowner who has attempted to sell on a house in poor condition then you know how tough and mentally draining the process can be. The sad truth is you don’t have very many options to pick from. That said, unlike other things you do have a choice meaning if one way doesn’t work out, you can try another. The key here is to pick the right type of buyer that caters best for your circumstances & personal needs. Home owners that are stuck with defective properties often ask questions like ‘how do I sell my run down house‘ or ‘can I sell my house as is‘ and the quick answer is of course you can but it depends heavily on the state of your property and level of investment that would be required to make it a fully functioning home again. To put it in simpler terms, if your property is structurally sound and requires cosmetic work only, there is a very good chance you will find buyers for it and can probably sell it on at a reasonable price. However, if your house has structural damage, you can bet any potential buyer will get a survey done to determine the severity of the damage and then figure out if it’s worth investing their time and money into. There are 4 ways you can go about selling a house in bad shape and they are as follows. Selling a house privately basically means you are selling it yourself without the use of a middle man (ie. An estate agent or other entity). This is actually a great way to go about selling quirky homes or homes that require significant investment as you will have more control over the buyers that view your property which allows you to highlight the stronger points of your property and stage property viewings more precisely. In fact, you can potentially make more money from the sale as well because you are dealing with the buyer directly and don’t have to worry about additional third party or estate agent fee’s. That said, you will have to manage everything yourself which includes things like listings, viewings, negotiations, conveyancing and much more. It can be very demanding so if you choose this route make sure you’re prepared. Estate agents have been around for what seems like forever. You can bet most long standing estate agents have had their fair share of defective & properties in poor condition to get rid of so using one to sell yours is a good option. Before you pick one, do some research. It’s important here that you find a reputable or even specialist estate agent (if your property really ‘out of the box’) that will sell and market your house. Picking the wrong one could leave you more out of pocket than you were before! Also, don’t forget about the additional fee’s estate agents charge for their services. Be sure to confirm these before signing on any documentation. If you’ve ever been to an auction house sale and looked at some of their listings, you are sure to have seen a wide range of properties including run down, defective, old, quirky and much more different types of houses. Auction houses attract a variety of different house buyers so it’s a great way to sell your property in poor condition in the uk. As with estate agents, don’t forget that auction houses do charge fee’s to go along with the sale of your house so make sure you know what these fee’s are and how much you will be paying before proceeding! ‘True’ house buying companies buy houses for cash. These firms generally offer below market value for a property but many of them do not charge any additional fee’s like estate agents and auction houses do. Firms like Housebuyers4u even pay for surveys and guarantee to buy any house in any condition so it’s well worth contacting them. In some cases home owners that sell their houses with quick sale firms end up making more overall profit than they would with an estate agent or an auction because their fee’s are so high! Another bonus of selling with a house buying company is they can complete the sale of your home much quicker than an estate agent – sometimes within 7 days. This is because they buy the house with cash. That said, there are rouge companies out there that claim to buy your house for cash but instead list it on websites like Rightmove/Zoopla and hope for a quick sale. This is why it’s very important to research the company you are planning to sell with to make sure they are legit. Whichever method you choose to sell your house with, one thing that many people forget to do is check through the house and see if there is worth keeping and selling at a later date. You’d be surprised what people can sell on at auctions and websites like Ebay these so don’t miss out on this chance to bag some extra cash with the sale of your home. In conclusion, the key to selling a house in poor condition is patience. Your property is different so it may take a little extra time to find the right buyer. Try to banish thoughts like ‘my house is unsellable‘ as this will only make the whole process tougher. Another important point is to research your preferred method and company thoroughly so are familiar with the whole selling process and know exactly what to expect. As the saying goes, it’s better to safe than sorry. If you are having trouble selling your property, Housebuyers4u is a genuine we buy any house in any condition company. Click here to get your no obligation cash offer now! If you enjoyed our article we’d love to hear your opinions! Visit our home owners advice center for more interesting articles. If you have any questions or would like to give us some feedback, feel free to contact us at any time or leave a comment below! We’d love to hear your opinions! If you enjoyed our article visit our home owners advice center for more of the same. If have any questions or would like to give us some feedback, feel free to contact us at any time or leave a comment below!